Zero aggression, zero points. Manchester United fans saw disinterested football aplenty under Louis van Gaal, and had no desire to reminisce. Unfortunately, José Mourinho’s United was apparently feeling nostalgic at De Kuip against Feyenoord in their Europa League debut. To supporters’ immense displeasure, therefore, nostalgia is what they received, as well as a defeat at the hands of a side they should have beaten. Prior to the match, the Portuguese wavered between reluctance and enthusiasm when questioned about playing in the competition on Thursday evenings. He lamented the Premier League’s inflexibility in scheduling/rescheduling matches for clubs involved in Europe to give them optimal rest between matches. In his correct opinion, almost exclusive emphasis is placed on domestic play in England whereas the continental leagues are more selfless. Conversely, he also said being in it, United should respect the competition. Apparently, something was lost in the translation to his players, who took the latter remark to mean they should be wary of the opposition rather than do everything in their power to win. Despite losing to Eredivisie champions PSV Eindhoven in the Johan Cruiff Schaal, the Dutch version of the Community Shield, Feyenoord had started their league campaign with five wins on the trot, scoring nine goals while surrendering just two. Yet, their success was not accomplished against Chelsea, City, Liverpool, Arsenal, and Tottenham. It came against Den Haag, Excelsior, Heracles, Twente, and Groningen. Feyenoord’s best player was a familiar foe, but, at thirty-six years, Dirk Kuyt should not have unduly troubled an attack-minded United XI. 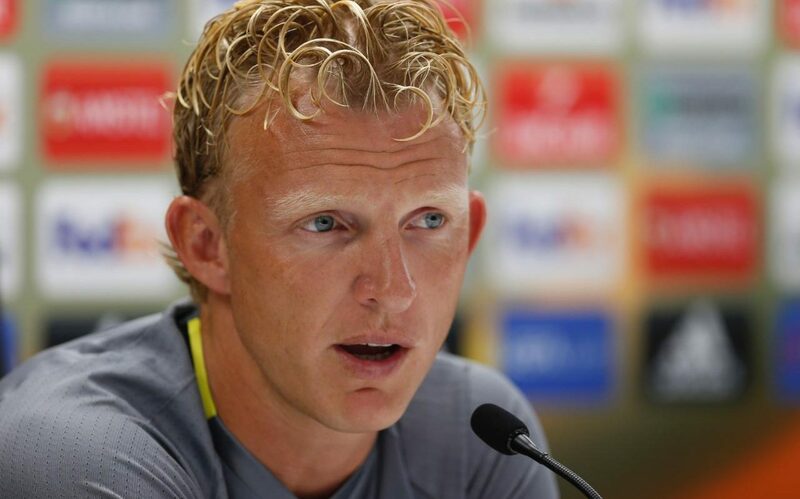 An honest Dirk Kuyt would have told the media beating Mourinho’s United turned out to be easier than expected. 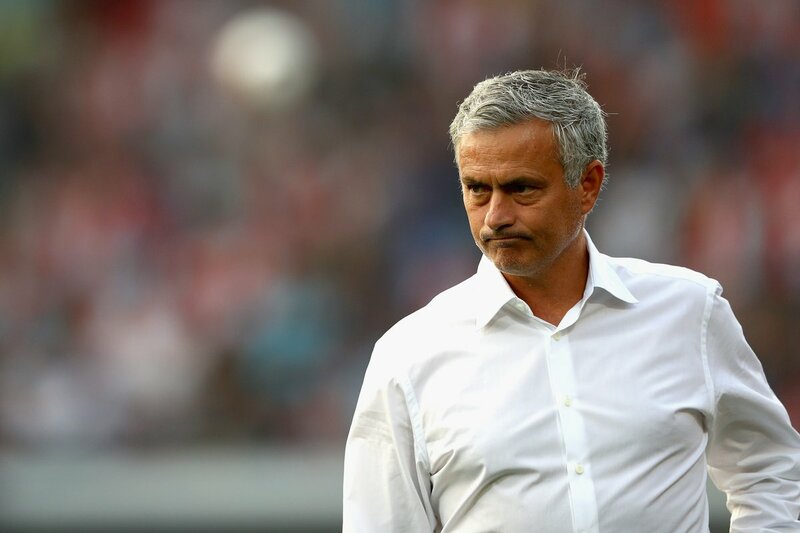 Regardless, Mourinho’s United offered a spot-on impression of the Louis van Gaal version. Rory Bremner couldn’t have done better. The boss himself was even caught on camera in the game’s first minutes cracking open the leatherbound notebook in his lap to mark the first of many poor passes to come. The only detail that would have made it more like LvG would have been to see Ryan Giggs leaning in to catch a peek at the scribble from over Mou’s left shoulder. On the pitch, meanwhile, whenever Feyenoord won the ball, José’s charges did not charge, instead dropping ten players back behind the ball, offering little, if any pressure, and leaving a frustrated Marcus Rashford with only Eric Botteghin and Terence Kongolo for company. Wayne Rooney didn’t even make the trip for United, offering Paul Pogba an opportunity to slip in behind Rashford to play the more forward role in which he thrived at the Juventus Stadium. Instead, he repeatedly dropped back between Ander Herrera and Morgan Schneiderlin to collect the ball deep, doing such a credible impersonation of his absent captain, Rory Bremner had to be doubly jealous. Why Herrera was slotted as a second defensive mid is another head scratcher. Feyenoord’s sophomore manager Giovanni van Bronckhorst’s chosen starters offered little in the way of pace to trouble Chris Smalling and Eric Bailly. He and Pogba would have been better dispatched to assist Juan Mata in providing service to Rashford. Instead, the contest quickly settled into one side or the other parking the bus in front of their goal, almost as if the players would have preferred a volleyball match to football. Marcos Rojo and Matteo Darmian at the fullback positions were far less dynamic as replacements to Luke Shaw and Antonio Valencia. To give credit where it’s due, Rojo at least made an attempt, venturing forward frequently. 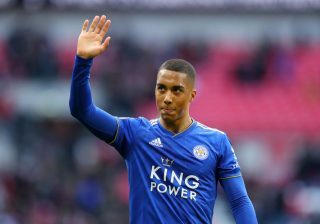 Unfortunately, his overlaps proved more a hindrance than a complement to the still sluggish Anthony Martial, and he was caught out far too often by Nicolai Jørgenson for his trouble. Feyenoord looked the more worrisome side in the first forty-five thanks to that, crafting two or three decent attacks after advancing down the Argentine’s flank. On the far side, Darmian was the more responsible defender, but rarely pressured the Feyenoord defense, as, by the time Pogba, Mata, et al had moved the ball into the Dutch half, the hosts had numbers back. Where is Bruce Banner when you need him? 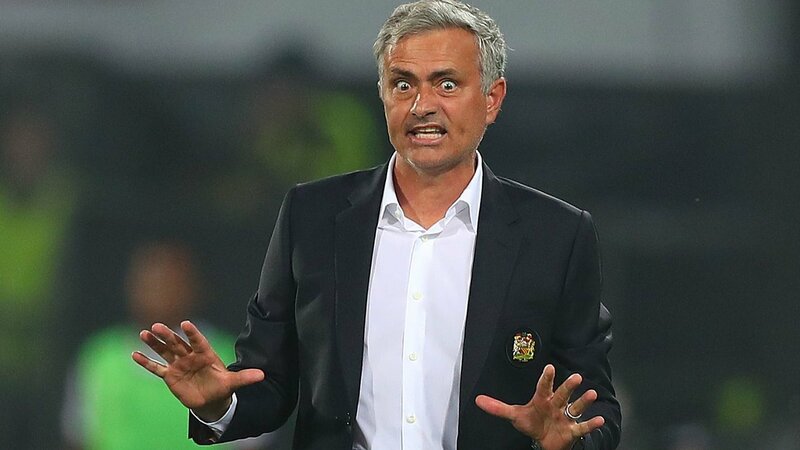 The look on Mourinho’s face as the side went into the clubhouse at the intermission suggested his lads would emerge for the second half more motivated. Sadly it was a false promise. The mock volleyball continued for the first twenty minutes. At one point, the dismay from Rashford was plainly visible. Pressuring a Feyenoord defender on the near side of the pitch into playing back to keeper Brad Jones, he gave chase to the pass, frantically waving for a teammate to cover the defender on the far side. No one did, allowing Jones an easy outlet, and Feyenoord free passage into the United end. At the top of the eighteen, the youngster threw up his arms in despair at the energy wasted. 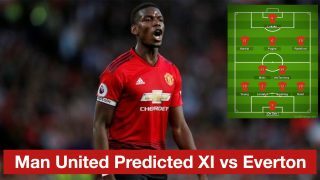 On sixty-three minutes, Mourinho sent in three subs at one go, swapping Rashford, Martial, and Mata for Zlatan Ibrahimović, Memphis Depay, and Ashley Young. If the manager was trying to make a statement regarding his attacking trio’s performance, Rashford should have been excused. If, on the other hand, he was taken off after giving his all in vain for the first hour, it’s understandable. 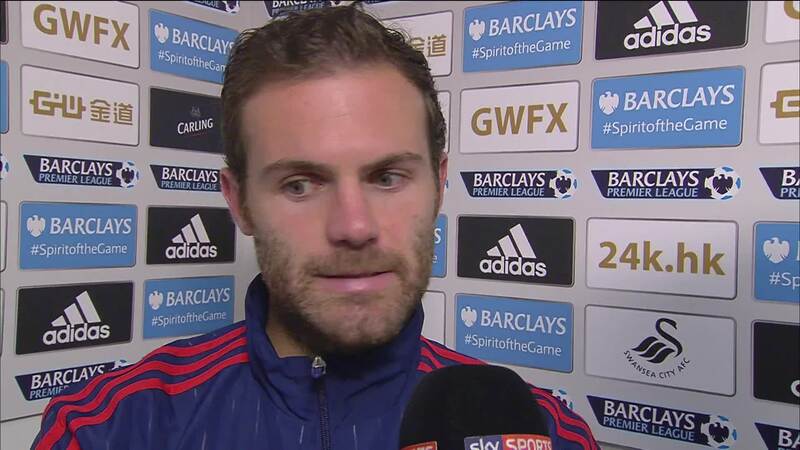 Mata being given the hook was dubious as well. 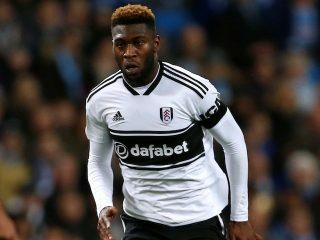 He continues to put in a tremendous effort with or without the ball, although his passing was definitely off on the evening. Of course, that might have something to do with his teammates not being in the advanced positions he had come to expect in the previous five matches, including his cameo in the Community Shield. Too often when he received the ball there was no one other than Rashford forward or even level with the Spaniard. Ergo, Mata was left with two choices: passing back towards his own goal or dribbling into the teeth of three or four Feyenoord defenders. Rojo’s and Darmian’s lack of pace and adventure also had the effect of making United’s attack far too narrow. In that context, I have to agree with Owen Hargreave’s assessment, commentating for BT Sport. Young for Darmian, rather than Mata, would have been the more sensible move, creating the same width and space their opponents would eventually carve out. 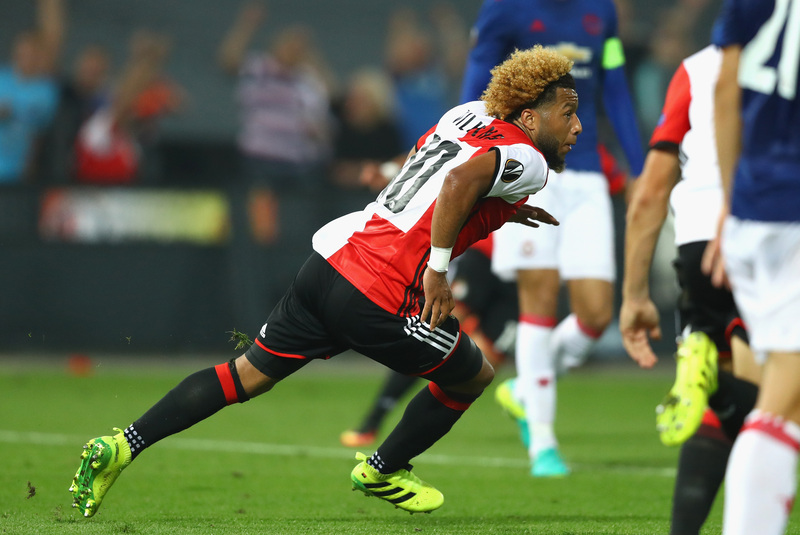 Tonny Vilhena celebrates his winning goal. 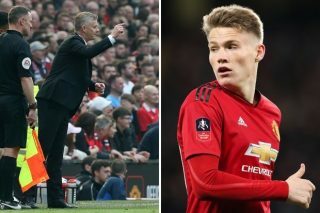 United were made to pay for their passivity in the eightieth minute, and they can hardly blame the side official who was in prime position to see Nicolai Jørgenson break a stride too soon to latch onto a through ball, then square a cross for Tonny Vilhena to power past David de Gea for the match’s only strike. Nor can they blame Jesús Gil Manzano, the Spanish referee, who defied stereotype by issuing just the one yellow card despite Feyenoord committing twenty-two fouls to United’s six, with Eric Botteghin, Karim El Ahmadi, and Jan-Arie van der Heijden hearing the most whistles, as they consistently mugged both Mata and Herrera. Van der Heijden, who had received the only booking even managed to escape a second for disrupting a clear opportunity in the seventy-fifth minute. The official’s restraint was irrelevant, however, as a bit of optimism and the will to attack would have put the match away before the lack of calls became an issue. Mourinho is a Van Gaal protégé, ergo a proponent of defensive football. People wary of the Portuguese being given the Old Trafford reins, myself included, anticipated, beyond the arrogance and difficulty with accepting personal responsibility, a great deal of drudgery against top sides. Despite the loss to City on the weekend, that expectation proved unwarranted. The derby was a gripping, open, end-to-end affair. On the other hand, Feyenoord is not a top side. Which begs the question why such a conservative approach was taken? Discretion is the better part of keeping your job. For me, the answer lies in Mourinho’s treatment of players he doesn’t rate. Bastian Schweinsteiger has been exiled. Juan Mata is forcing himself into the squad for the moment, but his sale away from Chelsea under José, being subbed out after coming on late in the Community Shield, and his omission against City all suggest the manager is using him reluctantly. As deep as Mourinho’s United squad is, you have to wonder how much he trusts his bench players? Does he work with them to the extent needed, or does he pay them just enough attention to give them hope while devoting all his time to his preferred eleven? Not being present for training sessions I can’t say. Still, the evidence of this match, in which his regulars either sat or did not make the trip, giving the reserves an opportunity, suggests there may be a problem. His remarks beforehand add to the suspicion. If you don’t have confidence in your supporting players, why would you wish to be involved in a European competition? 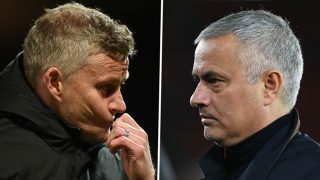 As I wrote on the weekend, and in my take on the coming campaign, I am not expecting Mourinho’s United to run roughshod over the best clubs in England, or the top sides in Europe. Feyenoord, though, is a long distance from being a top European side. They were candy for the taking. This defeat causes more concern regarding Mourinho’s suitability to reform United than losing to a Pep Guardiola side.